You can skip the bacon on these and they’re still amazing. You can halve the spicy ranch sauce (it makes a TON!) if you’re making it for 10 or fewer people. There’s no need to double it if you have 20 or more guests. Trust me on this. 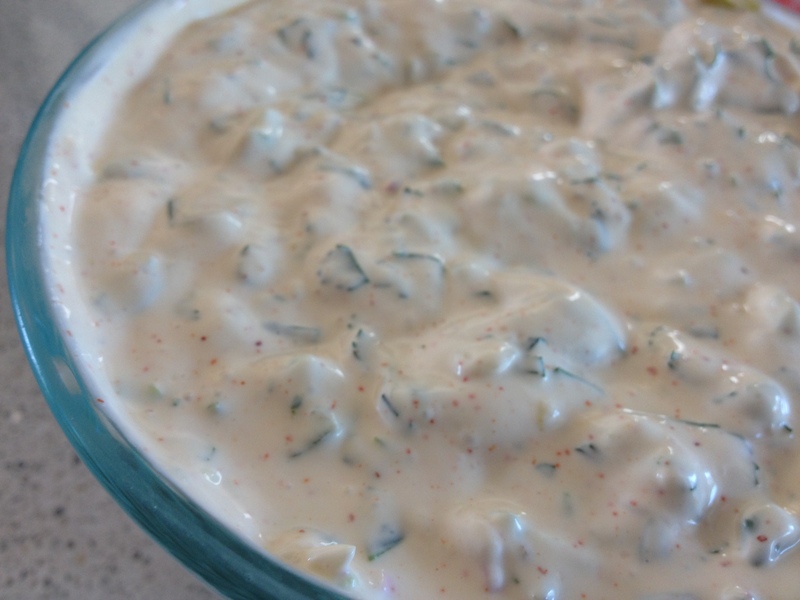 I always forget and make the whole recipe and then we have a crapload of spicy ranch (but then you can put it on anything you want, so I suppose there’s that!). I doubled it the first time we made these and we ended up throwing so much of it out because we couldn’t eat it fast enough. Do NOT skip the spicy ranch sauce. The sauce makes this burger. The tang from the lime dances on your tongue. One last note: If you don’t have sharp white cheddar cheese, don’t worry. And I don’t shred mine, only slice it. We’ve used pepper jack, sharp cheddar and what’s called for and all have worked great. So use what you like or try something new, but don’t fret if you can’t find sharp white cheddar cheese. Whisk all ingredients in medium bowl to blend. Season sauce with salt and pepper. Gently mix all ingredients in large bowl. 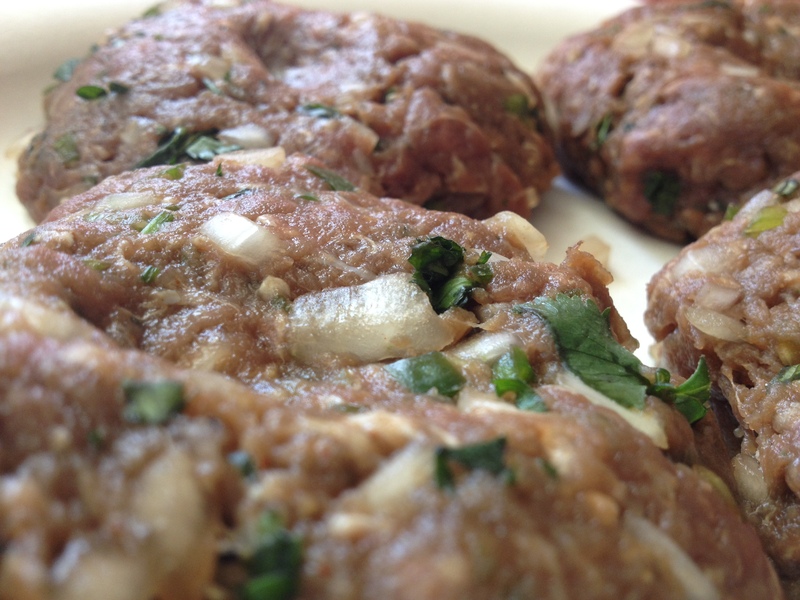 Form mixture into eight 1/2- to 3/4-inch-thick patties. Place on small baking sheet. Cover and chill at least 2 hours and up to 1 day. Stir first 5 ingredients in small saucepan over medium heat until coffee is dissolved. Remove from heat. Whisk in butter. Season glaze to taste with salt and pepper. I didn’t take a picture of this sauce because it is dark and I have dark pots, so you would be looking at nothing, really. Prepare barbecue (medium-high heat). Working in batches if necessary, cook bacon in large skillet over medium-high heat until crisp and brown. Transfer bacon to paper towels to drain. Spray grill rack with nonstick spray. If you want your buns toasted, place them on the grill until golden, about 2 minutes per side. I do not like mine toasted, hubs does. Transfer buns, cut side up, to plates. Place lettuce on each bun bottom. Grill burgers 5 minutes, basting with glaze. 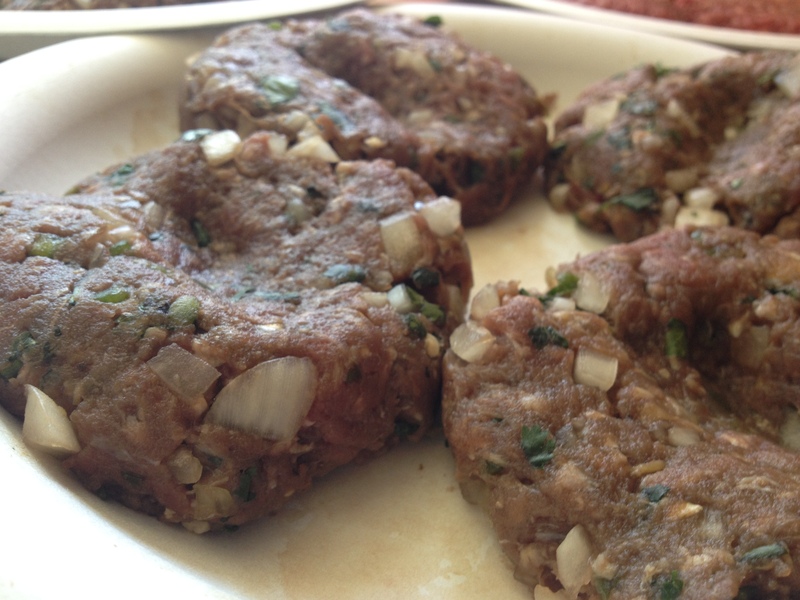 Turn burgers, baste with glaze, and grill until cooked to desired doneness, about 5 minutes longer for medium. Press cheese atop each burger and allow cheese to melt. Place some sauce, then 1 burger on each bun bottom. Top each with 2 slices bacon and desired additional toppings. Cover with bun top. Serve with remaining sauce. 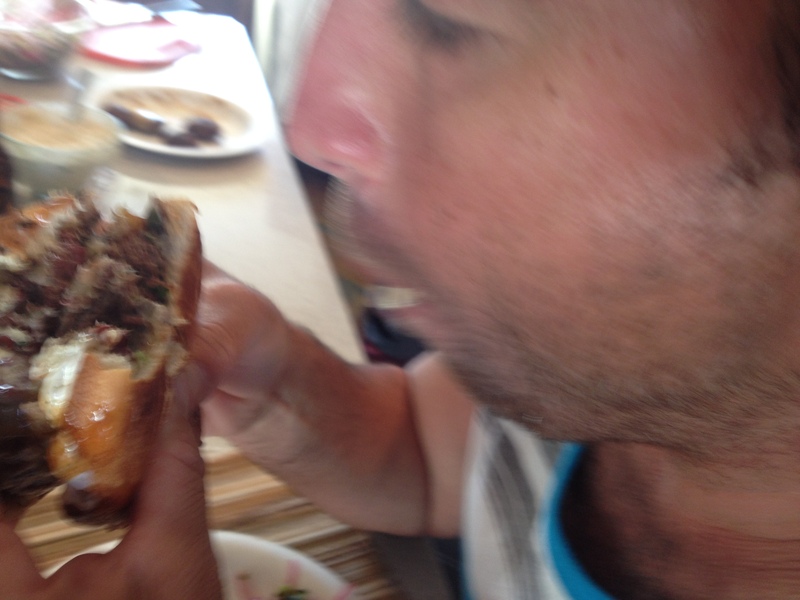 Then watch as your friends and family devour the burger before your eyes. The hubs is gonna kill me for including this picture. Don’t be surprised if you come back to this page and there’s no photo here of him stuffing his face with this double cheeseburger! My stomach is now growling and I am in desperate need of chowing down on a juicy burger. 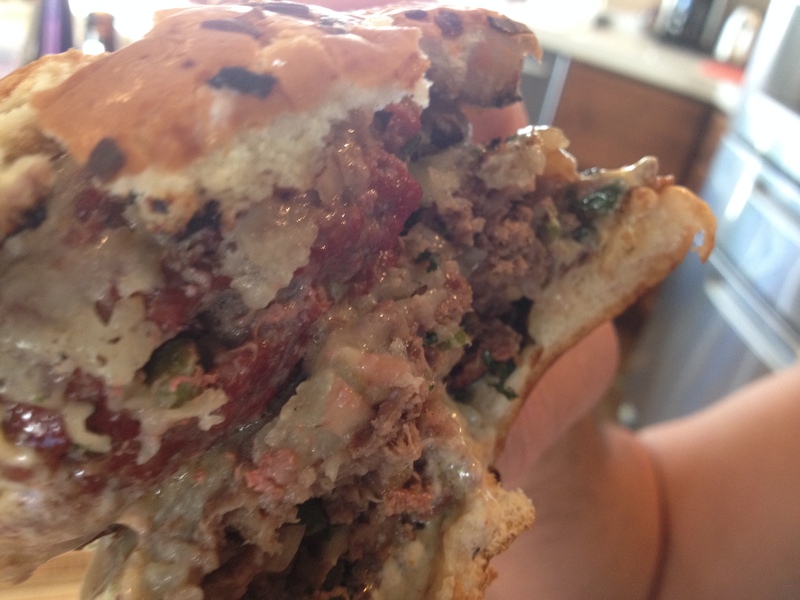 What’s your favorite burger recipe? Do you just keep it simple and add some salt and pepper or seasoning salt and let the toppings do the rest? 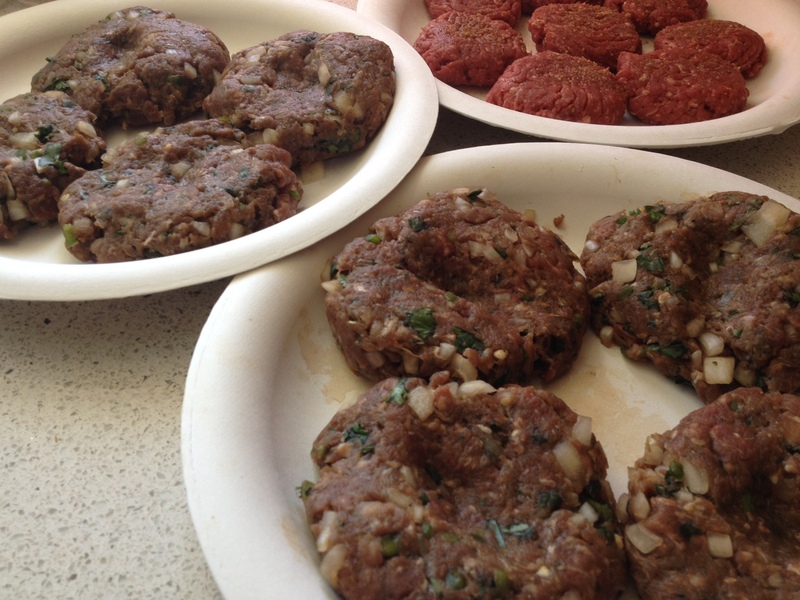 Or do you like to add all sorts of fixins to your ground meat before making the patties and grilling them? What are your favorite toppings? Oh myyyyyy!!! Wendy, the photos are making me want a burger and it’s 12.19am and I’m in bed. Note to self – Do not check wordpress before bed. Lol!